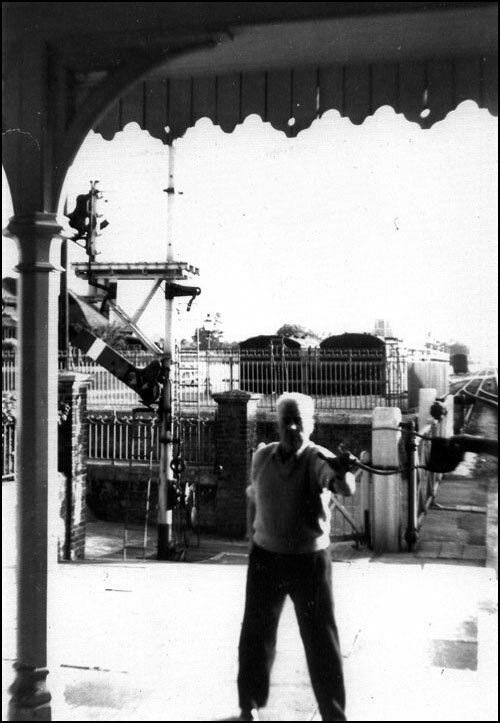 Signalman, Jack Trundley, receiving the Tablet on the upside platform from the fireman of a non-stop King’s Lynn bound express train. Note his stance to ensure a smooth handover, also the clear platform and wonderful signal arrangement in the background……if only!! Information and detail kindly supplied by local railway historian and lecturer Bob Hammond of King’s Lynn, former LNER and BR locomotive fireman.